Someone will be wondering what’s special about Sarkodie trending on Twitter because he is beyond that. From hit tracks to controversies, the rapper trends 2-5 times every month. But why he is trending today is a good news and something special to him and his fan army. 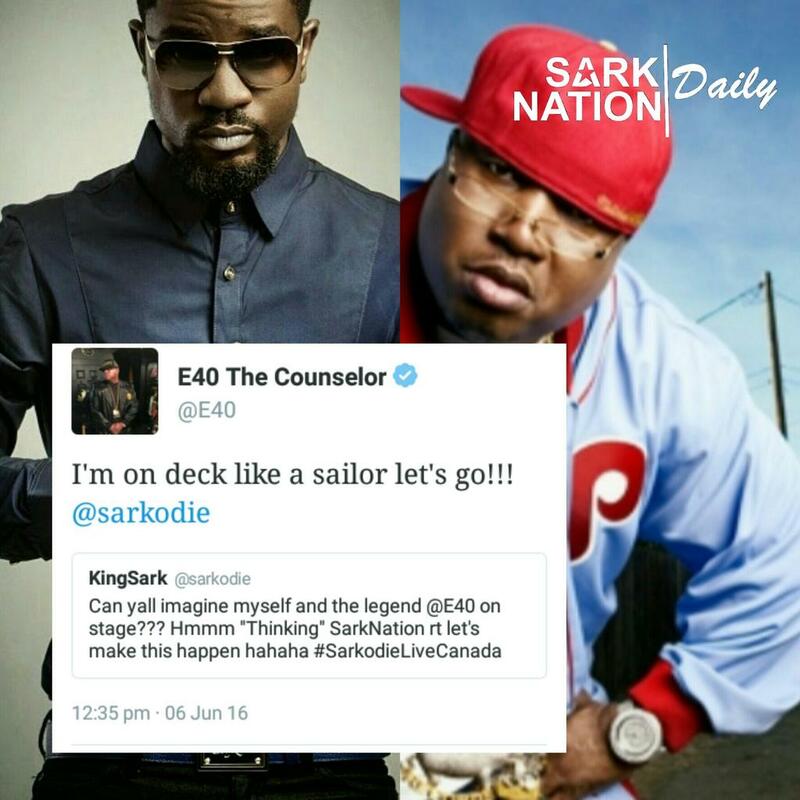 The rapper announced last night (June 5) that he will invade Canada in a concert dubbed “Sarkodie Live Canada” and asked his fans to retweet in other to get “Choices” hitmaker, E-40’s attention to join him on stage. “Can yall imagine myself and the legend @E40 on stage??? Hmmm “Thinking” SarkNation rt let’s make this happen hahaha #SarkodieLiveCanada,” Sarkodie tweeted. This took Sarkodie and his fans by surprise and this started #SarkodieLiveCanada trend making it 3rd on Twitter trends today, June 6.
u get ticket? Nope! @E40 on deck? yup!